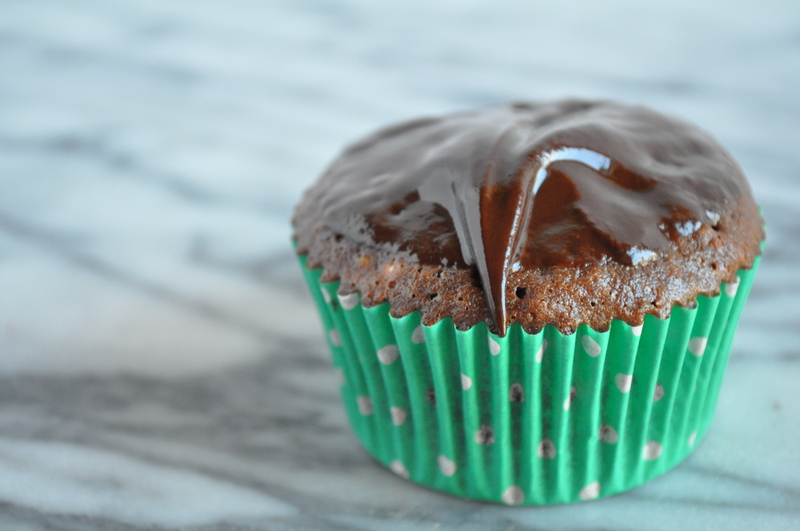 Today is apparently National Dessert Day, and to celebrate we have for you the most delicious and decadent Double Chocolate Cupcakes dipped in a luscious Chocolate Ganache. How amazing does that? And you might be thinking, wait, this sounds way too sweet, but have no fear, they’re not actually as sweet as they sound. 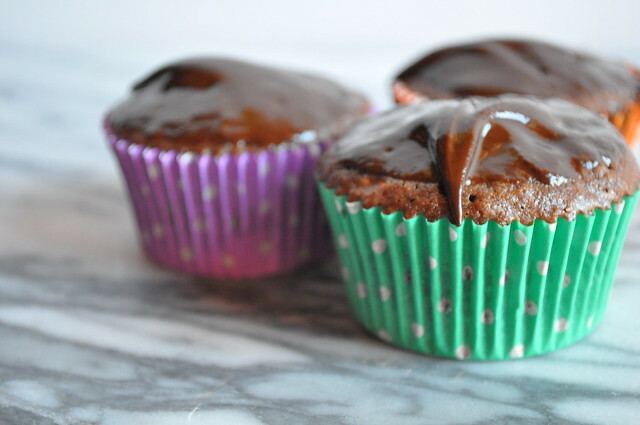 We’ve found (via Ina) that if you add instant coffee to chocolate, it really balances the sweetness that chocolate can give off and make the most perfect chocolatey cupcake or chocolatey dessert. 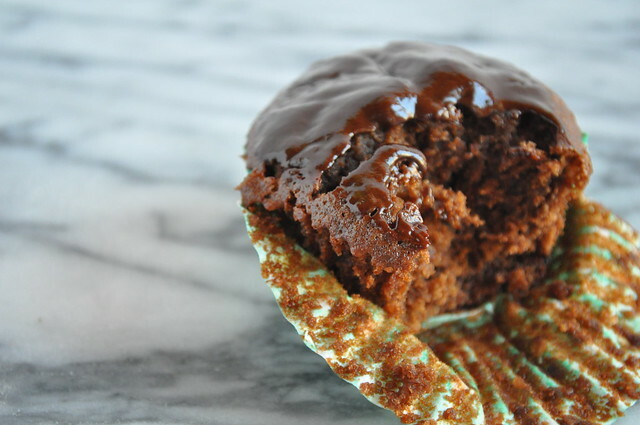 We love chocolate and once we started adding instant coffee to the chocolate, our lives were changed. For the better, obviously. 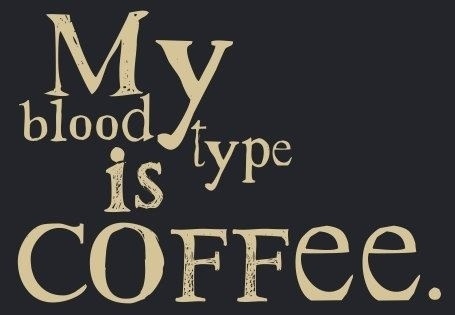 *Honestly, we LOVE coffee, so we probably put more when we make it for ourselves. Feel free to do the same. Sometimes we put up to 3 teaspoons of instant coffee. 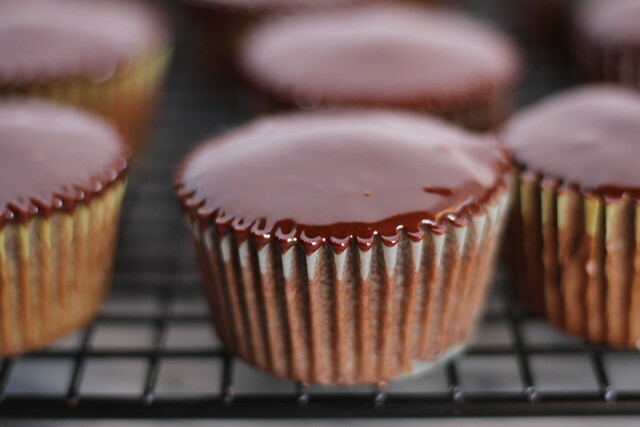 *Again, feel free to experiment by putting more coffee if your ganache. Double the dose. Next, line a muffin tin pan with paper liners. 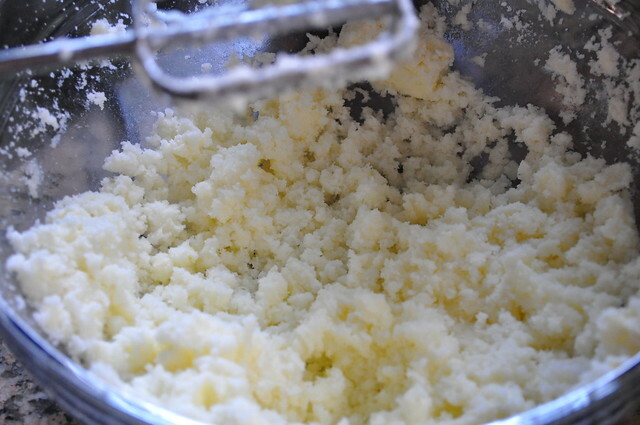 In a bowl, using an electric mixer fitted with a paddle attachment, cream together the butter and sugar until light and fluffy. 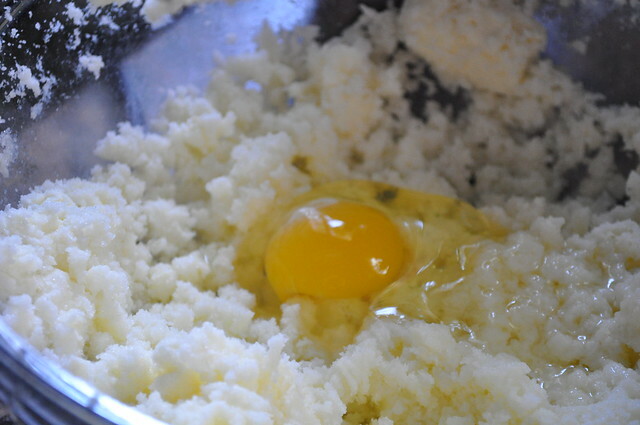 Next, add the eggs one at a time. Mix until each is fully incorporated. 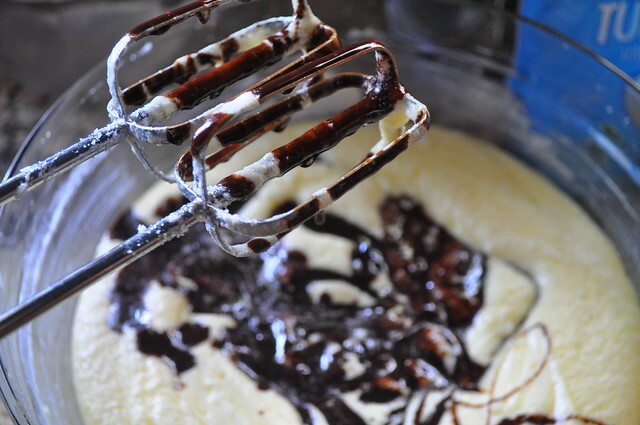 Mix in the chocolate syrup and vanilla extract. 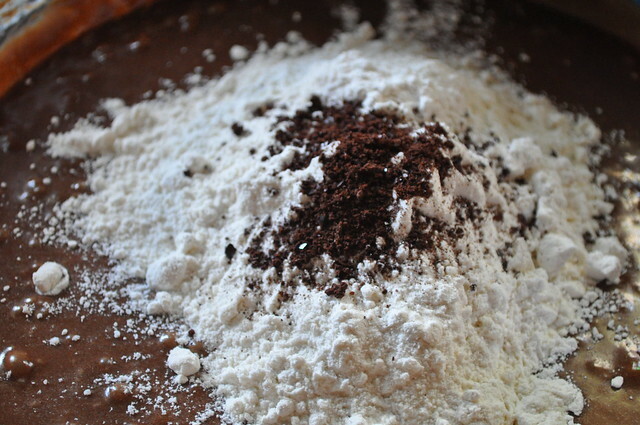 Then, add the flour and coffee granules and mix until just combined. It’s very important (because Queen Ina says so) to not over beat the batter or the cupcakes with be tough little hockey pucks. 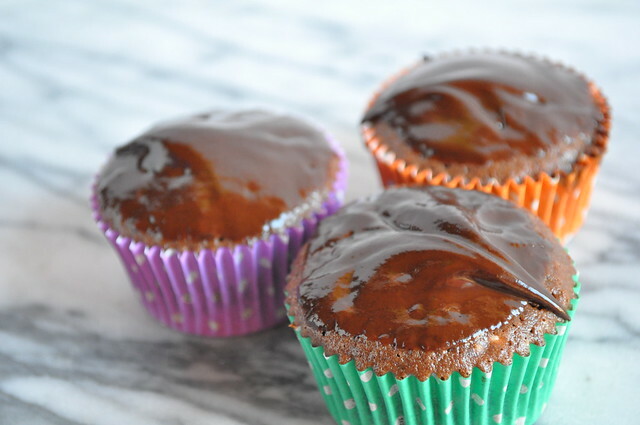 Scoop the batter into the lined muffin tray and bake for about 30 minutes or as always until just set in the middle. Remember to not over bake them and let them cool throughly. 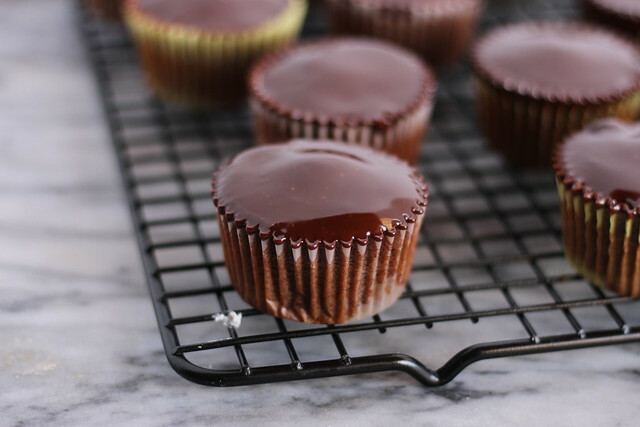 While the cupcakes are cooling, make the ganache. 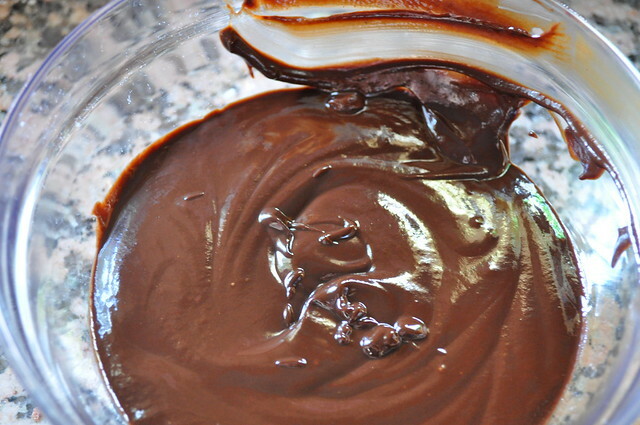 Using a double boiler, melt the chocolate chips with the heavy cream and coffee granules. 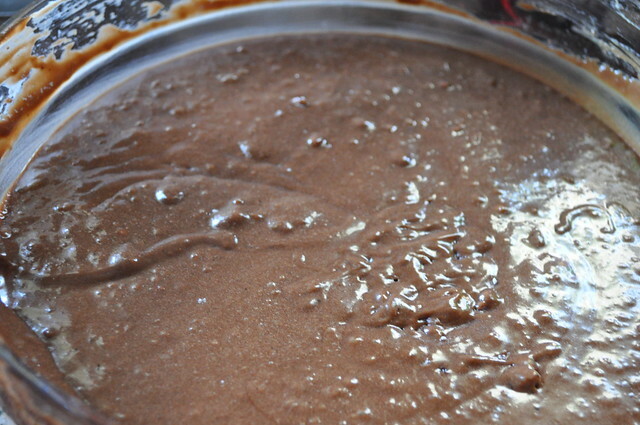 Stir until smooth and shiny, transfer to a bowl. 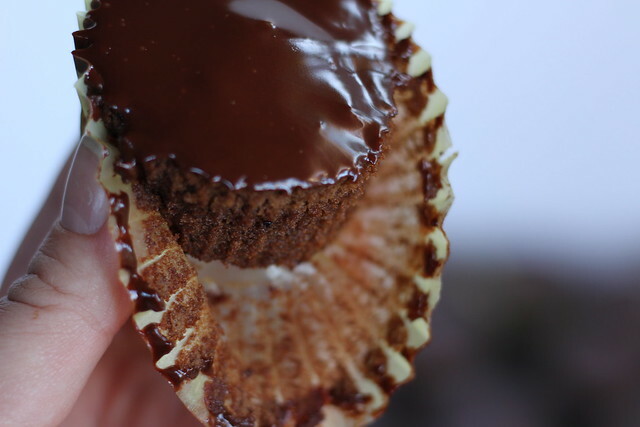 When the chocolate cupcakes are cool enough to handle, dip them in the chocolate ganache.